(1) A person who, for offenses occurring within a 3-year period, is convicted of two of the following serious traffic violations or any combination thereof, arising in separate incidents committed in a commercial motor vehicle shall, in addition to any other applicable penalties, be disqualified from operating a commercial motor vehicle for a period of 60 days. (k) Driving a commercial vehicle without a commercial driver’s license in possession, as required by s. 322.03. Any individual who provides proof to the clerk of the court or designated official in the jurisdiction where the citation was issued, by the date the individual must appear in court or pay any fine for such a violation, that the individual held a valid commercial driver’s license on the date the citation was issued is not guilty of this offense. (b) A person who, for offenses occurring within a 3-year period, is convicted of three serious traffic violations specified in subsection (1) or any combination thereof arising in separate incidents committed in a noncommercial motor vehicle shall, in addition to any other applicable penalties, including, but not limited to, the penalty provided in subsection (1), be disqualified from operating a commercial motor vehicle for a period of 120 days if such convictions result in the suspension, revocation, or cancellation of the license holder’s driving privilege. (h) Causing a fatality through the negligent operation of a commercial motor vehicle. (5) Any person who is convicted of two violations specified in subsection (3), or any combination thereof, arising in separate incidents shall be permanently disqualified from operating a commercial motor vehicle. The penalty provided in this subsection shall be in addition to any other applicable penalty. (6) Notwithstanding subsections (3), (4), and (5), any person who uses a commercial motor vehicle in the commission of any felony involving the manufacture, distribution, or dispensing of a controlled substance including possession with intent to manufacture, distribute, or dispense a controlled substance, shall, upon conviction of such felony, be permanently disqualified from operating a commercial motor vehicle. The penalty provided in this subsection shall be in addition to any other applicable penalty. (7) A person whose privilege to operate a commercial motor vehicle is disqualified under this section may, if otherwise qualified, be issued a Class E driver’s license, pursuant to s. 322.251. (a) Not less than 90 days nor more than 1 year if the driver is convicted of or otherwise found to have committed a first violation of an out-of-service order. (b) Not less than 1 year nor more than 5 years if, for offenses occurring during any 10-year period, the driver is convicted of or otherwise found to have committed two violations of out-of-service orders in separate incidents. (c) Not less than 3 years nor more than 5 years if, for offenses occurring during any 10-year period, the driver is convicted of or otherwise found to have committed three or more violations of out-of-service orders in separate incidents. (d) Not less than 180 days nor more than 2 years if the driver is convicted of or otherwise found to have committed a first violation of an out-of-service order while transporting hazardous materials required to be placarded under the Hazardous Materials Transportation Act, 49 U.S.C. ss. 5101 et seq., or while operating motor vehicles designed to transport more than 15 passengers, including the driver. A driver is disqualified for a period of not less than 3 years nor more than 5 years if, for offenses occurring during any 10-year period, the driver is convicted of or otherwise found to have committed any subsequent violations of out-of-service orders, in separate incidents, while transporting hazardous materials required to be placarded under the Hazardous Materials Transportation Act, 49 U.S.C. ss. 5101 et seq., or while operating motor vehicles designed to transport more than 15 passengers, including the driver. (10)(a) A driver must be disqualified for not less than 60 days if the driver is convicted of or otherwise found to have committed a first violation of a railroad-highway grade crossing violation. (b) A driver must be disqualified for not less than 120 days if, for offenses occurring during any 3-year period, the driver is convicted of or otherwise found to have committed a second railroad-highway grade crossing violation in separate incidents. (c) A driver must be disqualified for not less than 1 year if, for offenses occurring during any 3-year period, the driver is convicted of or otherwise found to have committed a third or subsequent railroad-highway grade crossing violation in separate incidents. (1) A person who has any alcohol in his or her body may not drive or be in actual physical control of a commercial motor vehicle in this state. Any person who violates this section is guilty of a moving violation, punishable as provided in s. 318.18. (2)(a) In addition to the penalty provided in subsection (1), a person who violates this section shall be placed out-of-service immediately for a period of 24 hours. (b) In addition to the penalty provided in subsection (1), a person who violates this section and who has a blood-alcohol level of 0.04 or more grams of alcohol per 100 milliliters of blood, or a breath-alcohol level of 0.04 or more grams of alcohol per 210 liters of breath is subject to the penalty provided in s. 322.61. (3) This section does not supersede s. 316.193. Nothing in this section prohibits the prosecution of a person who drives a commercial motor vehicle for driving under the influence of alcohol or controlled substances whether or not such person is also prosecuted for a violation of this section. (1) A person who accepts the privilege extended by the laws of this state of operating a commercial motor vehicle within this state shall, by so operating such commercial motor vehicle, be deemed to have given his or her consent to submit to an approved chemical or physical test of his or her blood or breath for the purpose of determining his or her alcohol concentration, and to a urine test for the purpose of detecting the presence of chemical substances as set forth in s. 877.111 or of controlled substances. (a) By applying for a commercial driver’s license and by accepting and using a commercial driver’s license, the person holding the commercial driver’s license is deemed to have expressed his or her consent to the provisions of this section. (b) Any person who drives a commercial motor vehicle within this state and who is not required to obtain a commercial driver’s license in this state is, by his or her act of driving a commercial motor vehicle within this state, deemed to have expressed his or her consent to the provisions of this section. (c) A notification of the consent provision of this section shall be printed on each new or renewed commercial driver’s license issued. (2) The chemical and physical tests authorized by this section shall only be required if a law enforcement officer has reasonable cause to believe that a person driving a commercial motor vehicle has any alcohol, chemical substance, or controlled substance in his or her body. (a) The breath test shall be administered at the request of a law enforcement officer who has reasonable cause to believe that a person was driving a commercial motor vehicle with any alcohol in his or her blood. (b) The urine test shall be administered at the request of a law enforcement officer who has reasonable cause to believe that a person was driving a commercial motor vehicle with any chemical substance or controlled substance in his or her body. The test shall be administered at a facility, mobile or otherwise, that is equipped to administer such tests in a reasonable manner so as to ensure the accuracy of the specimen and maintain the privacy of the individual involved. (c) The blood test shall be administered at the request of a law enforcement officer who has reasonable cause to believe that a person was driving a commercial motor vehicle with any alcohol, chemical substance, or controlled substance in his or her body. The blood test shall be performed in a reasonable manner by qualified medical personnel. Any person who appears for treatment at a medical facility as a result of his or her involvement as a commercial motor vehicle driver in a crash and who is incapable, by reason of a mental or physical condition, of refusing a blood test shall be deemed to have consented to such test. (d) The administration of one test under paragraph (a), paragraph (b), or paragraph (c) shall not preclude the administration of a different test under paragraph (a), paragraph (b), or paragraph (c). However, a urine test may not be used to determine alcohol concentration and a breath test may not be used to determine the presence of controlled substances or chemical substances in a person’s body. Notwithstanding the provisions of this paragraph, in the event a Florida licensee has been convicted in another state for an offense substantially similar to s. 316.193 or to s. 322.62, which conviction was based upon evidence of test results prohibited by this paragraph, that out-of-state conviction shall constitute a conviction for the purposes of this chapter. (3)(a) The breath and blood tests authorized in this section shall be administered substantially in accordance with rules adopted by the Department of Law Enforcement. 1. Establish uniform criteria for the issuance of permits to breath test operators, agency inspectors, instructors, blood analysts, and instruments. 2. Have the authority to permit breath test operators, agency inspectors, instructors, blood analysts, and instruments. 3. Have the authority to discipline and suspend, revoke, or renew the permits of breath test operators, agency inspectors, instructors, blood analysts, and instruments. 4. Establish uniform requirements for instruction and curricula for the operation and inspection of approved instruments. 5. Have the authority to specify one approved curriculum for the operation and inspection of approved instruments. 6. Establish a procedure for the approval of breath test operator and agency inspector classes. 7. Have the authority to approve or disapprove breath test instruments and accompanying paraphernalia for use pursuant to the driving and boating under the influence provisions and related provisions located in this chapter and chapters 316 and 327. 8. With the approval of the executive director of the Department of Law Enforcement, make and enter into contracts and agreements with other agencies, organizations, associations, corporations, individuals, or federal agencies as are necessary, expedient, or incidental to the performance of duties. 9. Issue final orders which include findings of fact and conclusions of law and which constitute final agency action for the purpose of chapter 120. 10. Enforce compliance with the provisions of this section through civil or administrative proceedings. 11. Make recommendations concerning any matter within the purview of this section, this chapter, chapter 316, or chapter 327. 12. Promulgate rules for the administration and implementation of this section, including definitions of terms. 13. Consult and cooperate with other entities for the purpose of implementing the mandates of this section. 14. Have the authority to approve the type of blood test utilized under the driving and boating under the influence provisions and related provisions located in this chapter and chapters 316 and 327. 15. Have the authority to specify techniques and methods for breath alcohol testing and blood testing utilized under the driving and boating under the influence provisions and related provisions located in this chapter and chapters 316 and 327. 16. Have the authority to approve repair facilities for the approved breath test instruments, including the authority to set criteria for approval. Nothing in this section shall be construed to supersede provisions in this chapter and chapters 316 and 327. 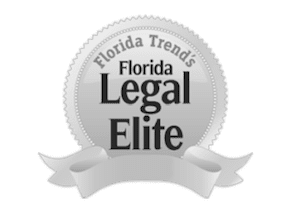 The specifications in this section are derived from the power and authority previously and currently possessed by the Department of Law Enforcement and are enumerated to conform with the mandates of chapter 99-379, Laws of Florida. (c) Any insubstantial differences between approved techniques and actual testing procedures in any individual case does not render the test or tests results invalid. (d) Notwithstanding any other provision of this section, the failure of a law enforcement officer to request the withdrawal of blood shall not affect the admissibility of a test of blood withdrawn for medical purposes. (4)(a) Except as provided in paragraph (b), a person shall be told that his or her failure to submit to a physical or chemical test authorized by this section shall result in the disqualification of his or her privilege to operate a commercial motor vehicle for a period of 1 year for a first refusal, and shall result in the permanent disqualification of such privilege for a second refusal, arising from separate incidents. (b) Any person who is incapable of refusal by reason of unconsciousness or other mental or physical condition shall be deemed to have consented to a blood test. (c) The refusal of a person to submit to a physical or chemical test authorized by this section shall be admissible in evidence in any criminal proceeding. (5) The results of any test administered pursuant to this section shall not be admissible in a criminal prosecution for possession of a controlled substance. (6) Notwithstanding any provision of law pertaining to the confidentiality of hospital records or other medical records, information relating to the alcohol content of a person’s blood or the presence of chemical substances or controlled substances in a person’s blood obtained pursuant to this section shall be released to a court, prosecuting attorney, defense attorney, or law enforcement officer in connection with an alleged violation of s. 316.193 or s. 322.62 upon request for such information. (1)(a) A law enforcement officer or correctional officer shall, on behalf of the department, disqualify from operating any commercial motor vehicle a person who while operating or in actual physical control of a commercial motor vehicle is arrested for a violation of s. 316.193, relating to unlawful blood-alcohol level or breath-alcohol level, or a person who has refused to submit to a breath, urine, or blood test authorized by s. 322.63 arising out of the operation or actual physical control of a commercial motor vehicle. Upon disqualification of the person, the officer shall take the person’s driver’s license and issue the person a 10-day temporary permit for the operation of noncommercial vehicles only if the person is otherwise eligible for the driving privilege and shall issue the person a notice of disqualification. If the person has been given a blood, breath, or urine test, the results of which are not available to the officer at the time of the arrest, the agency employing the officer shall transmit such results to the department within 5 days after receipt of the results. If the department then determines that the person was arrested for a violation of s. 316.193 and that the person had a blood-alcohol level or breath-alcohol level of 0.08 or higher, the department shall disqualify the person from operating a commercial motor vehicle pursuant to subsection (3). b. The driver violated s. 316.193 by driving with an unlawful blood-alcohol level and he or she is disqualified from operating a commercial motor vehicle for a period of 6 months for a first offense or for a period of 1 year if he or she has previously been disqualified, or his or her driving privilege has been previously suspended, for a violation of s. 316.193. 2. The disqualification period for operating commercial vehicles shall commence on the date of arrest or issuance of notice of disqualification, whichever is later. 3. The driver may request a formal or informal review of the disqualification by the department within 10 days after the date of arrest or issuance of notice of disqualification, whichever is later. 4. The temporary permit issued at the time of arrest or disqualification will expire at midnight of the 10th day following the date of disqualification. 5. The driver may submit to the department any materials relevant to the arrest. (2) Except as provided in paragraph (1)(a), the law enforcement officer shall forward to the department, within 5 days after the date of the arrest or the issuance of the notice of disqualification, whichever is later, a copy of the notice of disqualification, the driver’s license of the person arrested, and a report of the arrest, including, if applicable, an affidavit stating the officer’s grounds for belief that the person arrested was in violation of s. 316.193; the results of any breath or blood test or an affidavit stating that a breath, blood, or urine test was requested by a law enforcement officer or correctional officer and that the person arrested refused to submit; a copy of the citation issued to the person arrested; and the officer’s description of the person’s field sobriety test, if any. The failure of the officer to submit materials within the 5-day period specified in this subsection or subsection (1) shall not affect the department’s ability to consider any evidence submitted at or prior to the hearing. The officer may also submit a copy of a videotape of the field sobriety test or the attempt to administer such test. (3) If the department determines that the person arrested should be disqualified from operating a commercial motor vehicle pursuant to this section and if the notice of disqualification has not already been served upon the person by a law enforcement officer or correctional officer as provided in subsection (1), the department shall issue a notice of disqualification and, unless the notice is mailed pursuant to s. 322.251, a temporary permit which expires 10 days after the date of issuance if the driver is otherwise eligible. (4) If the person arrested requests an informal review pursuant to subparagraph (1)(b)3., the department shall conduct the informal review by a hearing officer employed by the department. Such informal review hearing shall consist solely of an examination by the department of the materials submitted by a law enforcement officer or correctional officer and by the person arrested, and the presence of an officer or witness is not required. (5) After completion of the informal review, notice of the department’s decision sustaining, amending, or invalidating the disqualification must be provided to the person. Such notice must be mailed to the person at the last known address shown on the department’s records, and to the address provided in the law enforcement officer’s report if such address differs from the address of record, within 21 days after the expiration of the temporary permit issued pursuant to subsection (1) or subsection (3). (6)(a) If the person arrested requests a formal review, the department must schedule a hearing to be held within 30 days after such request is received by the department and must notify the person of the date, time, and place of the hearing. (b) Such formal review hearing shall be held before a hearing officer employed by the department, and the hearing officer shall be authorized to administer oaths, examine witnesses and take testimony, receive relevant evidence, issue subpoenas, regulate the course and conduct of the hearing, and make a ruling on the disqualification. The department and the person arrested may subpoena witnesses, and the party requesting the presence of a witness shall be responsible for the payment of any witness fees. If the person who requests a formal review hearing fails to appear and the hearing officer finds such failure to be without just cause, the right to a formal hearing is waived and the department shall conduct an informal review of the disqualification under subsection (4). (c) A party may seek enforcement of a subpoena under paragraph (b) by filing a petition for enforcement in the circuit court of the judicial circuit in which the person failing to comply with the subpoena resides. A failure to comply with an order of the court shall result in a finding of contempt of court. However, a person shall not be in contempt while a subpoena is being challenged. (d) The department must, within 7 days after a formal review hearing, send notice to the person of the hearing officer’s decision as to whether sufficient cause exists to sustain, amend, or invalidate the disqualification. 1. Whether the arresting law enforcement officer had probable cause to believe that the person was driving or in actual physical control of a commercial motor vehicle in this state while he or she had any alcohol, chemical substances, or controlled substances in his or her body. 2. Whether the person was placed under lawful arrest for a violation of s. 316.193. 3. Whether the person had an unlawful blood-alcohol level as provided in s. 316.193. 1. Whether the law enforcement officer had probable cause to believe that the person was driving or in actual physical control of a commercial motor vehicle in this state while he or she had any alcohol, chemical substances, or controlled substances in his or her body. 2. Whether the person refused to submit to the test after being requested to do so by a law enforcement officer or correctional officer. 3. Whether the person was told that if he or she refused to submit to such test he or she would be disqualified from operating a commercial motor vehicle for a period of 1 year or, in the case of a second refusal, permanently. (a) Sustain the disqualification for a period of 1 year for a first refusal, or permanently if such person has been previously disqualified from operating a commercial motor vehicle as a result of a refusal to submit to such tests. The disqualification period commences on the date of the arrest or issuance of the notice of disqualification, whichever is later. (b) Sustain the disqualification for a period of 6 months for a violation of s. 316.193 or for a period of 1 year if the person has been previously disqualified from operating a commercial motor vehicle or his or her driving privilege has been previously suspended as a result of a violation of s. 316.193. The disqualification period commences on the date of the arrest or issuance of the notice of disqualification, whichever is later. (9) A request for a formal review hearing or an informal review hearing shall not stay the disqualification. If the department fails to schedule the formal review hearing to be held within 30 days after receipt of the request therefor, the department shall invalidate the disqualification. If the scheduled hearing is continued at the department’s initiative, the department shall issue a temporary driving permit which shall be valid until the hearing is conducted if the person is otherwise eligible for the driving privilege. Such permit shall not be issued to a person who sought and obtained a continuance of the hearing. The permit issued under this subsection shall authorize driving for business or employment use only. (10) A person who is disqualified from operating a commercial motor vehicle under subsection (1) or subsection (3) is eligible for issuance of a license for business or employment purposes only under s. 322.271 if the person is otherwise eligible for the driving privilege. However, such business or employment purposes license shall not authorize the driver to operate a commercial motor vehicle. (11) The formal review hearing may be conducted upon a review of the reports of a law enforcement officer or a correctional officer, including documents relating to the administration of a breath test or blood test or the refusal to take either test. However, as provided in subsection (6), the driver may subpoena the officer or any person who administered or analyzed a breath or blood test. (12) The formal review hearing and the informal review hearing are exempt from the provisions of chapter 120. The department is authorized to adopt rules for the conduct of reviews under this section. (13) A person may appeal any decision of the department sustaining the disqualification from operating a commercial motor vehicle by a petition for writ of certiorari to the circuit court in the county wherein such person resides or wherein a formal or informal review was conducted pursuant to s. 322.31. However, an appeal shall not stay the disqualification. This subsection shall not be construed to provide for a de novo appeal. (14) The decision of the department under this section shall not be considered in any trial for a violation of s. 316.193, s. 322.61, or s. 322.62, nor shall any written statement submitted by a person in his or her request for departmental review under this section be admissible into evidence against him or her in any such trial. The disposition of any related criminal proceedings shall not affect a disqualification imposed pursuant to this section. (15) This section does not preclude the suspension of the driving privilege pursuant to s. 322.2615. The driving privilege of a person who has been disqualified from operating a commercial motor vehicle also may be suspended for a violation of s. 316.193. (1) “Jurisdiction” means a state, territory, or possession of the United States; the District of Columbia; the Commonwealth of Puerto Rico; or a Canadian province. (2) “Citation” means any summons, ticket, or other official document issued by a police officer for a traffic violation, containing an order which requires the motorist to respond. (3) “Home jurisdiction” means the jurisdiction which issued the driver’s license of the traffic violator. (4) “Driver’s license” means any license or privilege to operate a motor vehicle issued under the laws of the home jurisdiction. (5) “Collateral” means any cash or other security deposited to secure an appearance for trial following the issuance by a police officer of a citation for a traffic violation. (6) “Personal recognizance” means an agreement by a motorist made at the time of the issuance of a traffic citation that he or she will comply with the terms of that traffic citation. (7) “Court” means a court of law or a traffic tribunal. (8) “Motorist” means a driver of a motor vehicle operating in a party jurisdiction other than the home jurisdiction. (9) “Issuing jurisdiction” means the jurisdiction in which the traffic citation was issued to the motorist. (10) “Police officer” means any individual authorized by the party jurisdiction to issue a citation for a traffic violation. (11) “Terms of the citation” means those options expressly stated upon the citation.